This versatile single diamond and emerald earring is right on trend for all seasons. 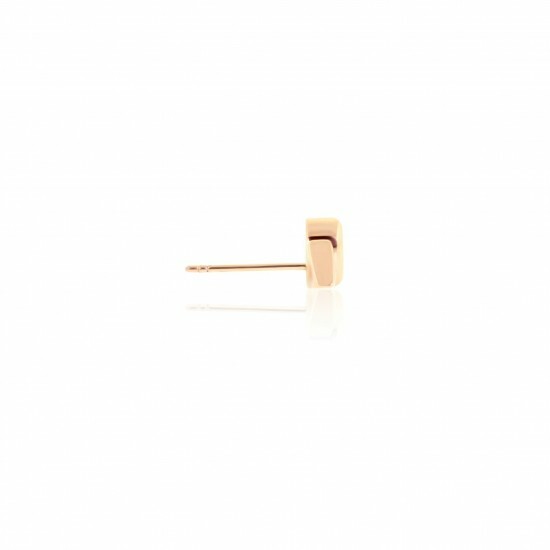 Raise your fashion game when you wear this earring dressed up or down. The eye-catching geometric shape of this single earring is formed by a trillion diamond sitting atop an oval cut emerald. The emerald is 0.44 carat and the diamond is 0.10 carat, K SI2. 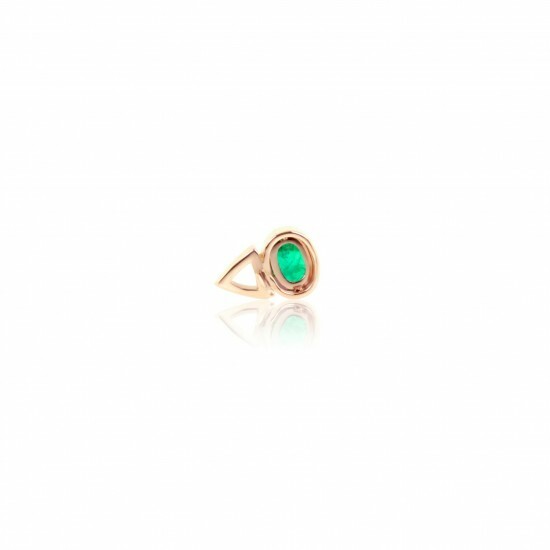 The emerald is Colombian, ensuring you are receiving a high quality gem. The bezel setting ensures that your emerald will not be easily scratched, damaged or prone to fall out. 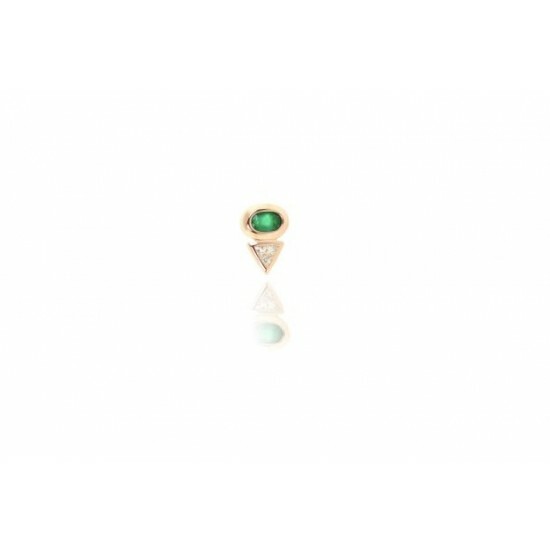 A comfortable post with a push back clip make these emerald stud earrings secure. Gold weight: 2.47 grams.